Chemist, Herbal Botanist, Beekeeper - just some of Jo’s titles, including Founder of Beauty Kitchen, of course. A while ago, Jo was struggling to find natural beauty products that a) really worked b) were affordable and c) were a bit more exciting than what was currently on the shelves. So, in 2010, she applied her knowledge as a qualified Chemist and worked every evening and weekend to turn her obsession with natural ingredients into Beauty Kitchen. 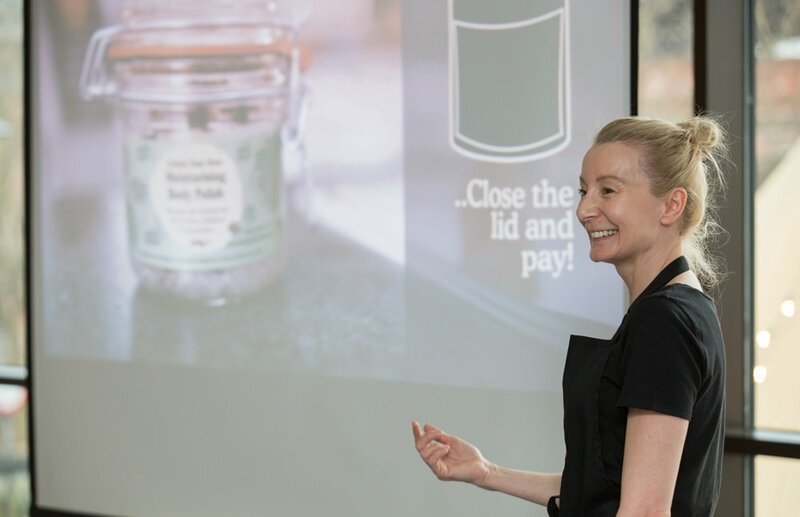 This interest in beauty started when, as a little girl, Jo went along with her mum to the beauty equivalent of tupperware parties - listening to women discuss what they wanted from their products became Jo’s first lesson in beauty. Josie (Jo’s mum) learned all about making her own hair products from her mum, who was ‘The Human Belt’ in a travelling circus - recipes that both Jo and Josie still use today. Jo’s approach to making a difference drives everything we do at Beauty Kitchen - whether she’s throwing on her wellies to collect seaweed, collecting honey from her garden hives, or giving back by teaching women in Uganda how to make their own natural beauty products, she plays a huge part in how we, as a whole, can be more sustainable. It also means that as a business, we’re living up to our promises as a B Corporation, which means putting community and environment on the same level as building a business. As a result, Jo has won multiple industry awards, including the Natwest Everywoman Award in the Brand of the Future Category and was recognised as one of the 10 most influential people in Natural Beauty in the UK (she was listed as No 2 - woo hoo!) She’s been featured in the likes of ELLE, Woman & Home magazine and BBC News and is a founding member of the Global Advisory Board for Sustainable & Natural Cosmetics (as you can tell, we’re really proud of her). For more about Beauty Kitchen, head to our about page.